On the Return Route from Long Beach, the Squadron 1st visited Kelly Field Air Base, San Antonio, Texas on the Saturday 3rd to Thursday 8th August. 15 Aircraft led by the Squadron Commander A J L Craig left Long Beach at 07.45 en route to Kelly Field, Texas arriving at 16.00hrs. The route was via Indio, Blythe, Gila Beno, Tuscon & El Paso on the Mexican Border. The last 400 miles of the Flight was particularly devoid of any Navigational Aids other than Sun Shots, as the so-called Topographical Maps of this area just show Green for land and Blue for water, but even the Lakes that existed did not appear on the Maps and therefore it was felt a considerable achievement that the land Navigators were able to keep up their usual standard of timing and bring the Squadron over Kelly Field (The ‘Cranwell‘ of USAAF) within 15secs of the Estimated Time of Arrival. The Flight was very hot and since by this time, nearly half of the Thermos Flasks were broken everyone landed in a rather dehydrated condition. One Aircraft TL-O (Oboe) TW-882 – F/O Haig & Crew W/o Tipper, W/O Brooks, W/O Reeve & W/O Stevens remained at Long Beach awaiting a Starboard Outer Engine to be ferried in from Mitchel Field Long Island, NYC by the Avro York which left for Mitchel Field on 7th August with complete Aircrew & Servicing Party to load a Starboard outer power plant for Lanc TW-882. It also ferried back Sgt Grayson, Cpl McDuff, Cpl Gumbrell and LAC Upsher from the Mitchel Field base. On arrival at Long Beach, the Engine is to be replaced under the Supervision of Sgt Grayson and when serviceable the Lanc & the York are to proceed to Andrews Field, Washington. IWM Film Reel 4: Back in the USA, Parade on Apron accompanied by US Military Band, inspecting US Military Personnel, RAF Officer makes a speech. San Antonio Air Depot Sign on a building. Boeing B-29 (521845) Superfortress & Lancs on the Apron. Aircrew & Ground-Crew marching & forming up in Ranks. Speeches & VIPs in attendance. Lancs taxi out to take off. Another Airfield, marching to the Band, forming up into Ranks, meeting US Officers by Commanding Officer 35 Sqdn W/C A Craig. Band March Past, shots of Lancasters on Apron, Formation Flight overhead by 12 Lancs. Landing at the Airfield (as seen in Reel 1), Group Captain RCM Collard speech, Civil Dignitaries giving speeches. Welcoming Addresses by Brig Gen George H Beverley and Mr A J Lewis Acting Chairman of the Military Affairs Committee with the San Antonio Chamber of Commerce. Group Commander R C M Collard gave an Address of gratitude. At 08.30 am Sunday 4th August all Personnel were taken to the Hills of Bandera where a Reception & short non-denominational Church Service was held. After the Service, the Squadron was split into Parties which were taken to various Dude Ranches amongst which were the Lost Valley Guest Ranch & the Mayan Ranch. It was found that a Dude Ranch was an old ‘Real’ Ranch which by virtue of the Swimming Pools & other amenities had been turned into a Holiday Ranch. After some cooling drinks at these stops with the Owners of the Ranches and their Guests, the Squadron was taken to Bandera Park which was part of a Real Ranch. There the Squadron all went Western in a big way trying on 10 Gallon Hats, rolling their own smokes, riding Cow Ponies, Ropin’ Calves & other feats of the Open Range. Fl Lt Gerry Dawson was asked about the Texas drawl which he suggested if they talked faster they would sweat more. They were entertained to a Barbecue Lunch by the Owner of the Ranch whose only name seemed to be Uncle Leo. 33 sheep had been killed & dressed the previous day and were sizzling over the open charcoal fires when the Squadron arrived. It can well be imagined that this amount of food between the 200 members of the Squadron and an additional 100 Guests meant that at least a whole shoulder of Roast Mutton was an individual portion. This excellent and fulsome repast as attended by Fred C Olsen the Captain of the Texas Rangers. It is a rare sight to meet 2 because the Force is only 46 strong and they have to Police an area 14 times the size of Great Britain. Afterwards, the Bandera Cowboys gathered from miles around together to put on Rodeo Show for the Squadron. This was certainly the real thing and proved to be a most thrilling Show of Skill albeit the Brits were baking in the Sun. The County Sheriff W H Burns attended the Rodeo and at a small ceremony General George H Beverley & Grp Capt RCM Collard were duly invested as Deputy Sheriffs of the Medina County and were issued with Guns while the Texas Rangers looked on. The Squadron returned from the Rodeo at 18.00hrs and after the dust of the Stampede Compound had been washed away all the Officers, NCO’s & Airmen were entertained to formal Parties in their respective BOQ & NCO‘s Clubs. All these were on a great scale and fortunately in Air-conditioned rooms. (103°F on an average day & 80°F at night). A Dinner Dance was given in Both Clubs. The Mission of Nuestra Señora de la Purísima Concepción was transferred from East Texas in 1731. The Church looks essentially as it did in the mid-1700’s when it served as the Mission’s centre of Religious activity. Colourful geometric designs that once covered its surface have long since faded. The Missionaries strove to replace traditional Indian Ritual with Religious Festivals teaching Christian beliefs. Carvings of the Saints & Objects of Adoration were popular representations of Catholicism among the Indians. Morality Plays and religious celebrations were common methods of instruction. On the Monday, a Group of Officers went to the Alamo & other Historical points in San Antonio. The Alamo, an abandoned Spanish Mission, located in what is now San Antonio. It had been established in 1724 to convert the local Natives to Christianity. Here, in 1836, a Defending Force estimated at between 180 & 260 awaited the arrival of the advancing Mexican Army trying to recover Mexican Texas. Led by William B Travis their number included 2 Legendary figures in American History, Davy Crockett & James Bowie. The men within the Alamo were under no illusion. They knew that their defence could not succeed without the rapid appearance of reinforcements. Arriving on February 23, 1836, Santa Anna’s Troops surrounded the Alamo, laying a 10-day Siege to its defenders. The Mexican Army began to bombard the former mission with Cannon Shot in an effort to systematically reduce its protective walls to rubble. The assault began in earnest during the early morning hours of March 6th as Mexican Soldiers swarmed the walls of the Fortress. The Alamo defenders successfully repulsed 2 Attacks but were overwhelmed by the 3rd. The Combat was characterised by room-to-room fighting in which all but a handful of the defenders were killed. The ferocity of their defence is underscored by the fact that it resulted in the death of an estimated 600 Mexicans. TL-R F/O John Robinson’s crew: W/O Sparling, F/O Wilson, F/S Angel, F/O Robinson, F/L Bullen, F/S Watson, W/O Vaughan. In the Evening they were Guests at a Picnic at Keoler Park given by the British War Brides Society and met the general Public. They were also entertained to a Mexican Luncheon on Tuesday at the authentically restored 200 yr old Village of La Villita as Guests of the San Antonio Chamber of Commerce. The meal was entirely made up of Mexican Dishes, a treat which all the men enjoyed immensely. Distinguished Guests besides Brig Gen. George H Beverley, who was Host to the RAF throughout their stay, was Major General James P Hodges Commander General of the Flying Training Command, AAF; Maj Gen John B Coulter Deputy Commander of the 4th Army; Brig Gen Lewis Beebe, who was at Corregidor (1942) with General Wainright, and present Chief of Staff of the 4th Army; and Col W B Tuttle retired, Ranking Reserve Officer in that part of the Country. All being given due credit, the members of the British Squadron enjoyed every minute of their stay there. Many of the men have expressed a desire to ‘return on their own hook‘ after they have ended their Tour of Duty on the RAF. IWM Film 3: Lancasters line up on taxiway prior to take-off, shots over NYC & Brooklyn Bridge. Air to air shots of aircraft in Formation. Ground shots of visitors viewing Aircraft Engine of TL-O, TW882 being serviced. Exterior shot of Hotel Washington main entrance. Senate House exterior. View from US Capitol building across National Mall towards Washingtom Monument. Scott Field base sign, Avro York & Lancs on the Apron, a Parade with a Military Band, lowering US Flag, ACM Sir Guy Garrod presenting an Award to a US Serviceman. Hotel Washington main entrance. RAF personnel visiting Memorial to Thomas Jefferson, Smithsonian Institution. 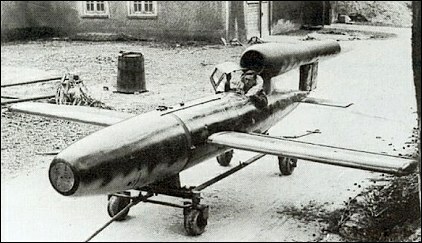 Captured weapons on display, a Fiesler Fi 103R Reichenberg Piloted version of the V1 bomb, Messerschmidt Me 262 (1st Jet), various ordnance. Lancs landing at the Airfield. Overview of Lancs parked on the Apron with a PBY4 Privateer. Wide shot of Airfield & Buildings from high ground. Pan American Airlines Constellation (“Clipper Atlantic”) on Apron and shots of Silver Airlines & TWA Constellations. Civilian B-17 in Swedish Airlines livery (SILA) SE-B (the only B-17 used by SILA), interior shots of the Passenger Cabin and view towards the Cockpit. They were not sorry to be leaving Kelly Field for Andrews Field (Washington) despite the magnificent hospitality as it was heavily overshadowed by the great heat experienced. They also had their departure was delayed for 24hrs due to a 700ft Cloud base cover at Andrews Field which would have ruled out Formation Flying. In 1880, a Volume was produced which sought to capture the “State of the Union“, using data gleaned from census and other records to produce visual representations of the Nation. Scribner’s Statistical Atlas of the United States uses a mass of information on topics as diverse as Population, Literacy, Agriculture & Religion to literally Map out the whole of the developing Country. Using just one example from Scribner’s Atlas charting the distribution of Corn Production across the entire United States, it is clear that the general pattern of development is East to West. The Eastern Areas are much smaller and more populous than the wide expanse of the “unsettled parts” – referred on the Silver Screen as “the Wild West“. Another key aspect of the Map are the Areas denoted as “Indian Reservations” – specific Territories designed to allow some limited freedom of movement to the indigenous Populations finding themselves under increasing threat from multiple generations of European Settlers. Within the numerous Reservations, some recognisable Native American names are visible – Sioux, Cherokee & Navajo; however, many are less familiar and much more were either under threat or had entirely disappeared – such as the Wampanoags of the original “Plymouth Thanksgiving” of 1621. Scribner’s Statistical Atlas of the United States was a vast undertaking of data management completed in a simpler age of pen & ink. The detail provided in the snapshot offers readers an intriguing glimpse at the development of one of the most powerful nations on the planet today.